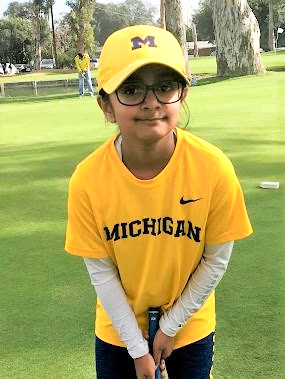 Kaavya Kotamraju, Mable Paine Elementary School 2nd grader, has been invited to the US Kids Golf European Championship in Scotland. The world’s best young golfers, ages 5-18, will travel to East Lothian, Scotland, in May of 2018 for the 11th annual tournament. Players will travel from more than 50 countries to compete in Europe’s premier junior golf championship.The event begins at one of Scotland’s most historical landmarks, the Gosford House, where families can participate in the grand opening ceremony. The three-day championship tournament will be played at some of the most historical golf courses in the United Kingdom along Scotland’s majestic coastline. Be the first to comment on "Mabel Paine 2nd grader set to compete in US Kids Golf European Championship in Scotland"